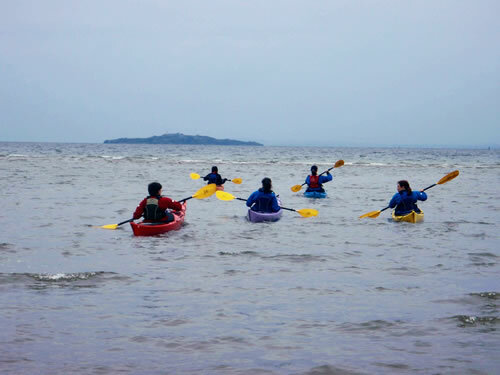 Escape from the city and into a sea kayak to experience the ocean's restorative power. Boost your mental and physical health as you engage with nature after a full day at work. Manouvering boat including draw strokes, bow rudders, stern rudders, low support and edging. This is for those who have never tried to roll as well as those have been trying for years. Includes low support, high support, pushing the boundaries of edging, eskimo rolling and eskimo rescue. 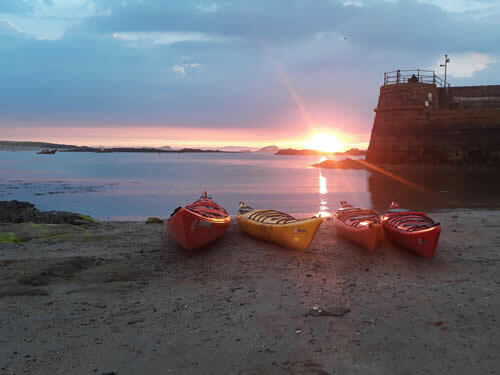 Starting in at the harbour in North Berwick, we will become familiar with the boats before heading out along the coast. 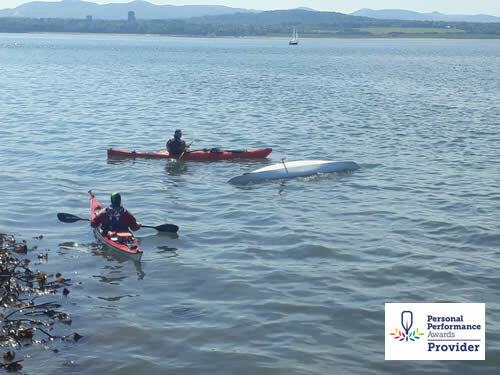 This course covers how to rescue yourself and others, focusing on wet exits, solo recoveries, towing and assisted rescues. 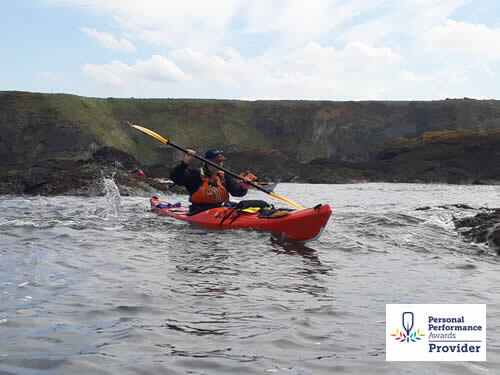 This course is for competent sea kayakers, wishing to practice or develop their rough water paddling skills. 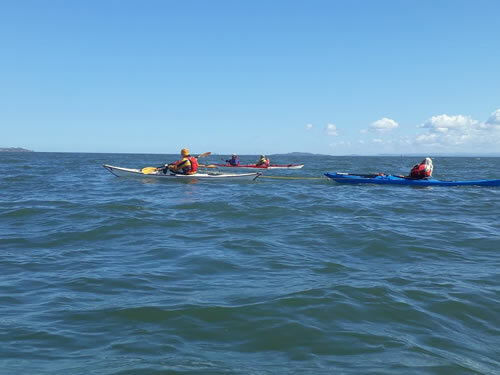 We will cover: advanced boat handling skills; surf zone techniques and rock hopping. 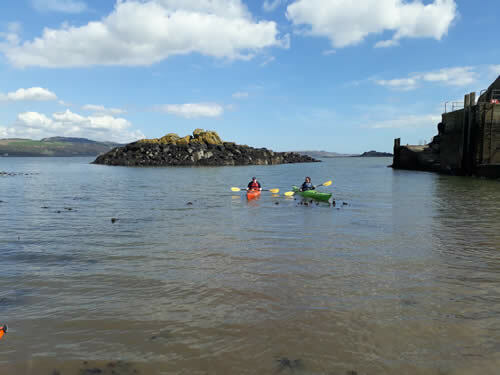 From Aberdour, we will paddle West to Braefoot point. This area is full of wildlife with huge sea bird colonies, seals and on possibily even porpoise, dolphins and whales to keep us company.